*Auction 7, Vintage Round 2* Beautifully preserved Clemente rookie with attractive white borders, crisp edges and strong corners for the assessment. The print, color and focus are magnificent throughout. 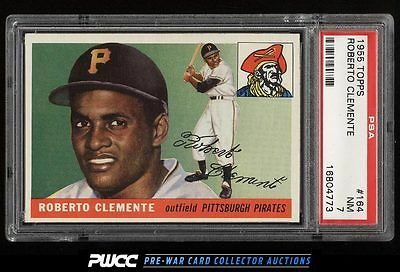 Clemente is widely considered among the greatest individuals on and off the field and his rookie production will always be among the most important cards in collecting. Deserving of serious attention. One of nearly 20,000 cards, lots, and sets up for bid in our 7th Auction of 2016. Click on the link above to view the other PWCC auction lots.